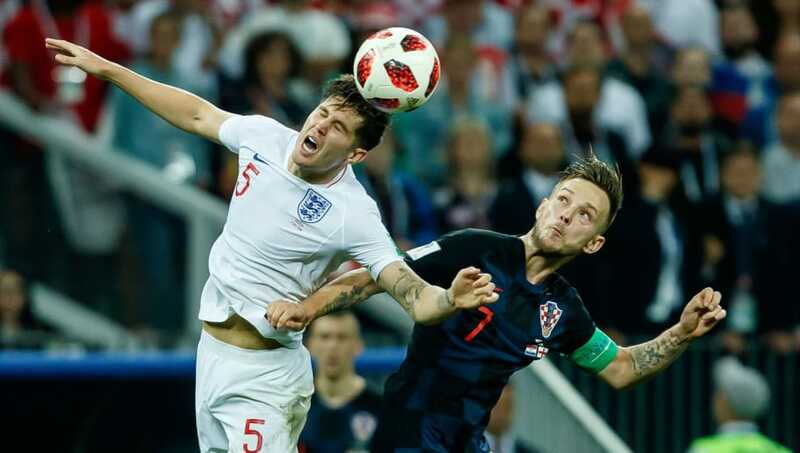 ​Barcelona midfielder Ivan Rakitic has opened up about his country's victory over England in the semi finals of the World Cup in Russia, explaining how they bested the Three Lions. The Croatians won the game 2-1 thanks to an 109th minute winner from Juventus' Mario Mandzukic, after Ivan Perisic cancelled out Kieran Trippier's fifth minute free kick. Speaking to Sid Lowe of the ​Guardian in an in-depth interview ahead of the similarly decisive UEFA Nations League clash between the two on Sunday, Rakitic admitted: "At half-time we had faith. It was a brilliant goal, the game turned their way but we didn’t feel they were better or that it was lost, maybe because of what had happened before." The Vatreni had come through two penalty shoot-outs in the wins against Denmark and Russia, and these exploits spurred the team on when it was time for a third consecutive period of extra time. The midfielder was complimentary of the organised nature of England's play, and rubbished any talk that they had been lucky to get to the last four, citing last month's 3-2 victory over Spain as proof – but admitted that the 'Football's Coming Home' fan campaign had given Croatia a little extra motivation. But, returning to the conclusion of that balmy night at the Luzhniki Stadium on the 11th of July, the 30-year-old confirmed: “We could see it in those first 15, 20 minutes when, honestly, they didn’t know what to do. “You feel the control, you feel happy, comfortable. They’re finding it harder to reach your goal and you’re getting closer to theirs. You even think: ‘Extra time? Fine, no problem. “There was a bit of luck with our second goal, it fell to Mario Mandzukic, but there was [already] this feeling: no pasa nada."